Did you know as a Members 1st Credit Union member, you can direct and shape your credit union? Your opinions and suggestions can help impact your credit union through the annual Board of Directors and Supervisory Committee elections held each year during our Annual Membership Meeting. 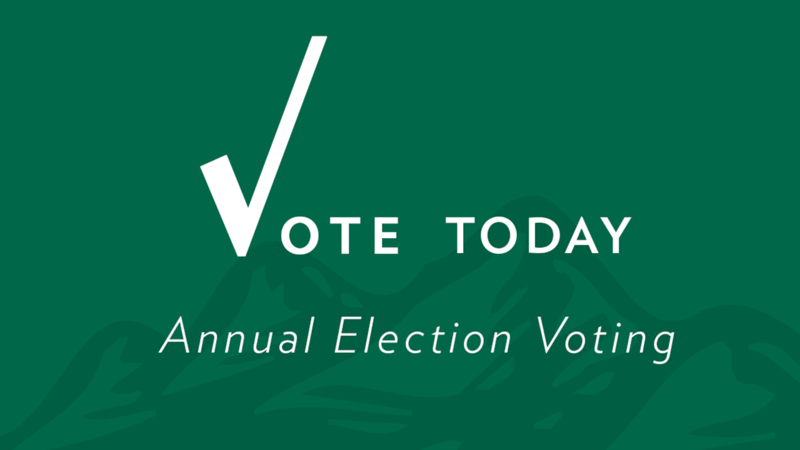 Please take a moment to cast your vote toward the nominees for the Board of Director and Supervisory Committee. Ballots have been distributed to all members in their most recent statement to be completed and submitted. You can turn in your ballot at any of our branch locations or vote online by Friday, April 27 at 4:00 p.m. Your involvement is encouraged and valued. The Annual Membership Meeting will take place on Friday, April 28 at 5 p.m. at the credit union branch located at 1380 Hilltop Drive, Redding, CA.